There's no woman on Earth who doesn't love jewellery. And with Mother's Day round the corner, it's time to adorn the most beautiful woman of your life with the finest pieces of jewellery. Make the best pick of Mother's Day jewellery from FlowerAura and get her smiling ear to ear. A mother is the most priced treasure that all possess but only a few cherish. Right from the first day of our life, a mother has nurtured us and made us what we are today. Through both good and bad times, a mother is the one who is sure to be by our side, holding our hands and leading us away from all the troubles and obstacles. Though you may complain that your mom is nagging, annoying, doesn't let you to do everything that you want, sometimes annoying or judgmental but you will definitely miss her a lot when she is not around you. The tradition of Mother’s Day is not something a new. The ancient Greeks and Roman people had set aside a particular day when they would worship the god of mothers and give their own mothers beautiful gifts. Though the tradition has changed somewhat, it is still widely followed worldwide. Traditionally this particular custom was first started in Europe when on a specific Sunday called Mothering Sunday, mothers were honored in different ways. The occasion of Mother’s Day was finally earmarked in 1912 when Anna Jarvis named the second Sunday of May as the Mother’s Day and proclaimed it as a day for honoring mothers and the godly wonders of motherhood. The second Sunday of May is a very special day as this day celebrates the purest bond of love shared between a mother and her child. This year, if you are planning to turn this day into a very day of her life, you should definitely pamper her by gifting a Mother’s Day jewelry from the online store of FlowerAura, the most popular online gift store in India. Always remember one thing that the occasion of Mother’s Day is one of the best days to express your love and show the gratitude by making the day truly special for her. The best part of this online store called FlowerAura is that here you can easily get a lot of Mother’s Day jewelry gift ideas to choose from. Unlike most of the online stores, FlowerAura offers you a huge range of Mother’s Day special jewelries and some of the popular jewelries are Fashion Bling, Purple Pinch of Love, Soulful Expression, Exquisite Neckpiece, Glamorous Pendant etc. The options are so vast that it will make you spoilt with the choices. No matter whether you put up in this country or staying in abroad, you can easily send Mother’s Day jewelry to your mom from this online store. Be it about buying earrings online for mother or neckpiece online for mother, you can simply buy it from the online store of FlowerAura. When it comes to getting the best in class delivery of necklace online for mother, FlowerAura could be the best next door solution for you. 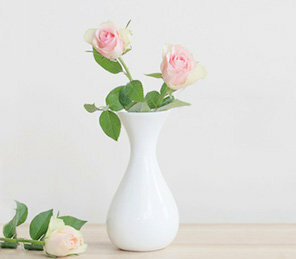 This online gift shop offers completely free shipping of gifts for mother. The fast and hassle-free delivery has made this store completely stand apart from the crowd. Now you might have realized the sky-rocketing popularity behind this online gift store when it comes to buying Mother’s Day special jeweleries.